Mulholland Drive is estimated to have taken in $1,002,000 this weekend, putting it at number 15. It's still only playing in 247 theaters, giving it a per screen average of $4,057. That's a better average than any other film in the top 15. Congratulations to all the winners and thanks to all 1,243 people who entered! Hopefully this is just the first of many more contests to come for LynchNet. Thanks to Lili Ungar Public Relations and Milan Records for providing most of the prizes! Click here for the answers to this one. Thanks for playing! Looks like the word is spreading everywhere. Don't forget to do your part by telling your friends, family and enemies to go see the picture. It'd sure be since to have a Lynch film get some good box office numbers for once. Mulholland Drive opens in wide release today. Be sure to check the October 19 Theater List to find where it's playing near you. It had a pretty good per screen average last week, so let's see if we can get it into at least the top ten this week. If you go Friday night, go Saturday as well. Go more than once in a day if you have to! Let's get those box office numbers up and show Hollywood that people do actually go see films other than the latest Jerry Bruckheimer-produced drivel. Today is your last chance to enter the Mulholland Drive contest from LynchNet. Lots of nifty prizes are available, so don't miss out on your chance to enter. Two new magazine articles today - an interview with Naomi Watts from Movieline and a few from Entertainment Weekly. 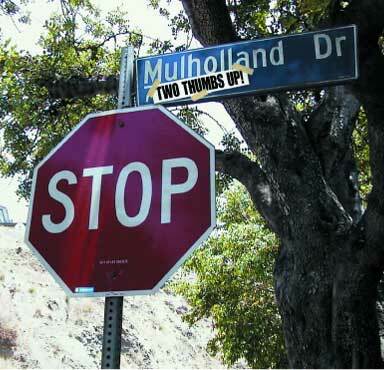 You can find them both on the Mulholland Drive Articles page. David Lynch chatted live on MSN last night. Most of the information was old news, but there were a few interesting bits. You can read the transcript here. Amazingly, last week on Ebert and Roper they gave Mulholland Drive two thumbs up. You can read the review from the show here. That's two movies in a row Lynch has gotten two thumbs up on from the formerly always Lynch-hostile Ebert and pals. Guess we've come a long way from these days. LOS ANGELES (Reuters) - In the limited release arena, director David Lynch's Hollywood noir thriller ``Mulholland Drive'' opened at No. 14 with $708,000 from just 66 theaters in 15 U.S. markets. Its strong average of $10,412 more than doubled the average of any film in the top 10, indicating that it played to packed houses. It expands next Friday to 200 theaters in 80 markets. The film was released by Universal Pictures. 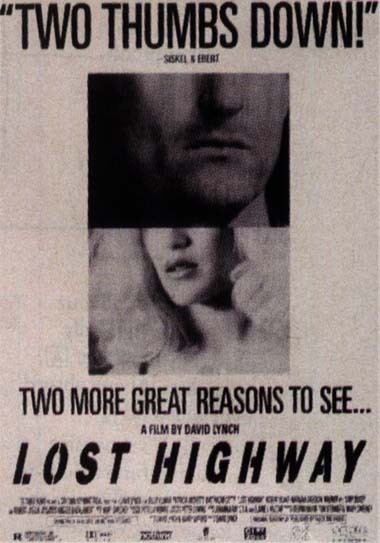 Director David Lynch's shockingly original television series mesmerized American audiences when its two-hour pilot episode aired on April 8, 1990, forever changing the face of prime-time television in the process. The full first season (ep. 1-7) of bizarre, ingenious, hysterical, terrifying stories set in the Pacific Northwest logging town of Twin Peaks. Gradually, the town's facade of extreme normality crumbles, revealing an endless barrage of schemes, fronts, and hidden relationships that expose Twin Peaks as the disturbed, unsettling town that it is. "The Elephant Man" has been acclaimed by critics the world over for cinematographic excellence and for its outstanding story of the triumph of human dignity. The film is based on the true story of John Merrick (John Hurt), a grotesquely deformed man who is shown compassion for the first time by a dedicated surgeon (Anthony Hopkins). Anne Bancroft, John Gielgud and Wendy Hiller co-star in this unforgettable motion picture. LOS ANGELES (Reuters) - New reviews and articles are being posted almost daily to the Mulholland Drive articles page. Be sure to check it out every now and then to keep up to date. So far, with the exception of Rex Reed, every review has been pretty much positive. Mulholland Drive Contest starts today! Enter for your chance to win an assortment of Mulholland Drive prizes. Details here. Find where Mulholland Drive is playing in your neighborhood by searching the theater list for both October 12 and October 19. Laura Elena Harring will be on Craig Kilborn's Late Late Show (CBS) tonight. Check your local listings for time. You can now find the Mulholland Drive Press Kit, including pictures, here. Mr. Showbiz has an online interview with Lynch. Most of it just re-hashes things we've heard before, but it's worth a read anyway. You can find the interview here. Darkhorizons.com has an interview up from the Toronto Film Festival. You can read it here. New prizes are still rolling in, so we'll be starting the Mulholland Drive contest on Friday instead of today. More details then. Two new articles have been added to the Mulholland Drive articles page. The first, Twin Piques, is about Naomi Watts and Laura Elena Harring. The pictures aren't to be missed on this one! The second, His Achy Breaky Part, is about Billy Ray Cyrus. The cover art for the first season DVD box set of Twin Peaks has been released. Mulholland Drive contest starts Wednesday! On Wednesday we'll be starting our Mulholland Drive giveaway contest with lots of nifty prizes courtsey Lili Ungar Public Relations, Milan Records and LynchNet. Prizes will include Mulholland Drive soundtrack cds, keychains, matchbooks, t-shirts and some other nifty items from my own person collection. It will be in the form of a trivia contest. Watch for full details on Wednesday. There's also a movement to send cans of creamed corn to New Line to show support for the extra scenes. While I question the usefulness of making some poor mailroom clerk making minimum wage have to open packages with all these cans, I guess it can't hurt too much. Dugpa.com has a really good and lengthy interview with Lynch's Chief Engineer, John Neff. They touch on a variety of topics, including davidlynch.com, Mulholland Drive and Lynch's films on DVD. You can find the interview here. "Composer Angelo Badalamenti made his bones with his dark, Herrmannesque score for David Lynch's surrealist drama. While the CD mysteriously doesn't include Bobby Vinton's hit version of the title tune, it at least allows you to lip-synch to Roy Orbison's "In Dreams" a la Dean Stockwell. Don't forget the makeup." HOLLYWOOD (Variety) - David Lynch has signed on as an executive producer of ``Cabin Fever,'' a thriller about five isolated friends who contract a deadly flesh-eating virus. The picture will star Michael Rosenbaum (``Smallville''), with Jordan Ladd (``Never Been Kissed'') and James DeBello (``Scary Movie 2'') in negotiations. The independently financed production is slated to begin Oct. 29 in High Point, N.C. The project marks the feature writing and directing debut of Eli Roth, a protege of Lynch's. "This is straight old-school-late-70's/early 80's horror film, in the vein of "Evil Dead," "Texas Chainsaw Massacre," and "John Carpenter's The Thing." I think it goes without saying whose work has influenced me the most, but I am also not interested in even attempting to replicate the Master, as I have my own voice I want to express. The only horror film I've seen recently that came close to the type of film I want to make is the first 45 minutes of "Jeepers Creepers." My film will be for the horror fans." Several new reviews and articles on Mulholland Drive have been posted over the last week. You can find them on the Mulholland Drive articles page and on the Mulholland Drive links page. There are also some new film clips from the New York Film Fest press conference on the Mulholland Drive movies page. IFilm.com has an exclusive movie clip from Mulholland Drive. You can view it here.